Manifest Films was established in 2003 in Los Angeles, CA, as a media production company. Our mission is to create quality programming that explores the issues of cultural identity and the immigrant experience. We strive to educate, inform and instill in the viewer, no matter what nationality they are, a curiosity about their own cultural heritage. Our programming is intended to be widely disseminated through the medium of broadcast television, educational institutions and home video. is Producer/Director at Manifest Films in Chicago and Los Angeles. Over the last twenty years she’s worked as director, producer and editor on award-winning film and TV projects. Her numerous credits include – associate producer/editor of the feature documentary, “Right Out of History: The Making of the Dinner Party”, which chronicled artist Judy Chicago’s acclaimed mixed media installation. She directed and produced the dramatic short, “Second Thoughts”, winner of the CINE Golden Eagle award that aired on A&E and PBS. She worked as editor on the OSCAR award winning drama, “Board and Care” and on Godfrey Reggio & Francis Ford Coppola’s groundbreaking documentary, “Koyaanisquatsi, Life Out of Balance”. She co-produced “Late Curtain”, a dramatic short & Chicago International Film Festival award winner. As producer for the Jewish Television Network in L.A., she was responsible for the urban affairs series, “Critical Issues Facing L.A.” and other weekly news magazine shows. Her personal documentary film, “Pictures from the Old Country”, has had numerous airings on PBS TV and has screened at festivals, conferences and universities across the U.S. and central Europe. 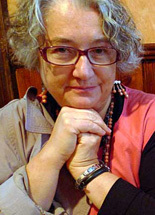 Susan also lectures nationally on Czech and Slovak Cinema. She is a consultant for ArtMill International School of Creativity, Czech Republic. She taught English at Comenius University in Bratislava on a Masaryk Fellowship, and studied Mexican Art History at the Instituto Cultural de Guadalajara, Mexico. 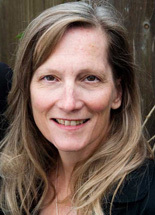 Susan earned a BFA from the University of Wisconsin in painting/printmaking and an MFA in Film/TV Directing from the American Film Institute, Los Angeles. is a Producer at Manifest Films. He has been a member of the filmmaking communities in Hollywood and Chicago for over twenty years. 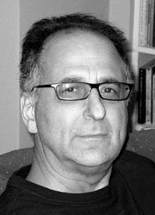 His extensive background as an Editor and Producer spans the areas of television, documentary film, and trailers. He is the winner of an EMMY AWARD as editor on “The Oprah Winfrey Show”. Jacobs was honored at the “Chicago International Film Festival” with the SILVER HUGO AWARD for producing and directing best short film “Late Curtain”. He served the panel of judges for the Annual “Key Art Awards”, presented by the “Hollywood Reporter”, and was interviewed as an expert in his field for a feature article in “Premier Magazine” about the making of trailers. He owned Promotion Pictures, a media production company providing feature trailers and TV spots to the Hollywood motion picture industry. Among his numerous credits, Jacobs has edited shows for the “Biography” series on A&E Network, the “Modern Marvels” series on Discovery Channel the “Final Report” series on National Geographic Channel, the “American Greed” series on CNBC, and the “Epic” series on Destination America Network. He was co-producer of the documentary film “Pictures from the Old Country”. He is a member of the Motion Picture Editors Guild-Los Angeles, and holds a BA in Architecture from Washington University in St. Louis. 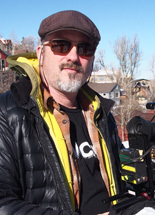 Max Miller is a Chicago-based Director of Photography with more than 20 years of experience behind the lens. His dynamic cinematographic images can be seen in numerous television series as well as in TV and feature documentaries. Some of his many credits include: “Legacy” for HBO Films, nominated for an Academy Award, “Studs Terkel: Listening to America”, “CNN Presents Schools”, “A&E Biography”, “The Oprah Winfrey Show”, “Extreme Makeover”, “Unsolved Histories”, “Oprah’s Next Chapter”, “Oprah’s Life class”, “Before it was America” and “Through the Wormhole”. Max received a Bachelor of Arts in Psychology from University of Washington in Seattle. Jerri was born in Prague, Czechoslovakia. Her family left in 1949, going first to a refugee camp in Germany, then settling in Norway. The family moved to Canada in 1954, where she grew up. She received a Master of Fine Arts degree in photography in 1974 from the Visual Studies Workshop in Rochester, New York. From 1974-1980 she directed several community photography programs in Chicago, notably the Public Art Workshop on Chicago’s west side and the Community Arts Center of the Uptown Center Hull House. She is the daughter of a survivor of the Nazi destruction of the Czech village of Lidice. Her mother’s stories have had a profound effect on her life, and her award winning film “In the Shadow of Memory” explores the consequences of this tragedy. 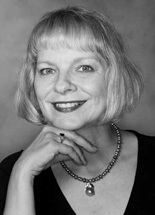 She is a past President of the Midwest region of the Society for Photographic Education. Jerri was a consultant to WTTW, Chicago PBS on the series “The Other Side of Europe”. Most recently, Jerri directed and produced an award winning half hour documentary film: “Never Turning Back, The World of Peggy Lipschutz”. Cindy graduated from UC Santa Barbara with a BA in English, and earned her MFA in Screenwriting from the American Film Institute. Upon graduating from AFI, Cindy sold her first feature script, “Bed & Breakfast,” which starred Roger Moore, Colleen Dewhurst and Talia Shire and was directed by Robert Ellis Miller. Cindy’s many television credits include the Emmy-nominated miniseries, “A Woman of Independent Means,” starring Sally Field and directed by Robert Greenwald; “Incident in a Small Town,” starring Walter Matthau and Harry Morgan; “Ken Follett’s The Third Twin”, with Kelly McGillis and Larry Hagman; and “The Natalie Cole Story,” starring Natalie Cole and directed by Robert Townsend. Cindy also co-wrote episodes of Sci-Fi Channel’s “Five Days to Midnight”, with Timothy Hutton and Randy Quaid, as well as “Gossip”, an original script produced by Lifetime and starring Kelly Martin. Cindy spent six weeks in Paris as a Writer-in-Residence with the “Autumn Stories” program sponsored by the Commission du Film Ile de France/Franco-American Cultural Fund; her resulting script “Déjà Vu’’ is currently optioned by David Wyler and Frank Konigsberg, with award-winning Swedish director Ella Lemhagen (“Patrik 1,5”, “Kronjuvelerna”) set to direct. Kyle Kurfirst attended Lyons Township High School in LaGrange where he was involved with LTTV, the school’s award-winning television program. With LTTV, he produced a historical documentary focusing on the high school during the 1970s. 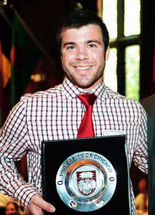 Kyle now studies Political Science at the University of Chicago, where he is also a captain of the soccer team and serves as a sports producer for the campus television program.